A support matrix or form of embedding medium for frozen sectioning. This medium freezes quickly supporting the tissue for sectioning at 3μ and up with no cracking of the matrix at temperatures from -8°C to -25°C. Snap freeze using PolyFreeze with isopentane and liquid nitrogen or dry ice (slush/slurry or bunker). Store specimens frozen in PolyFreeze in liquid nitrogen canisters or in airtight containers in a -80°C freezer. 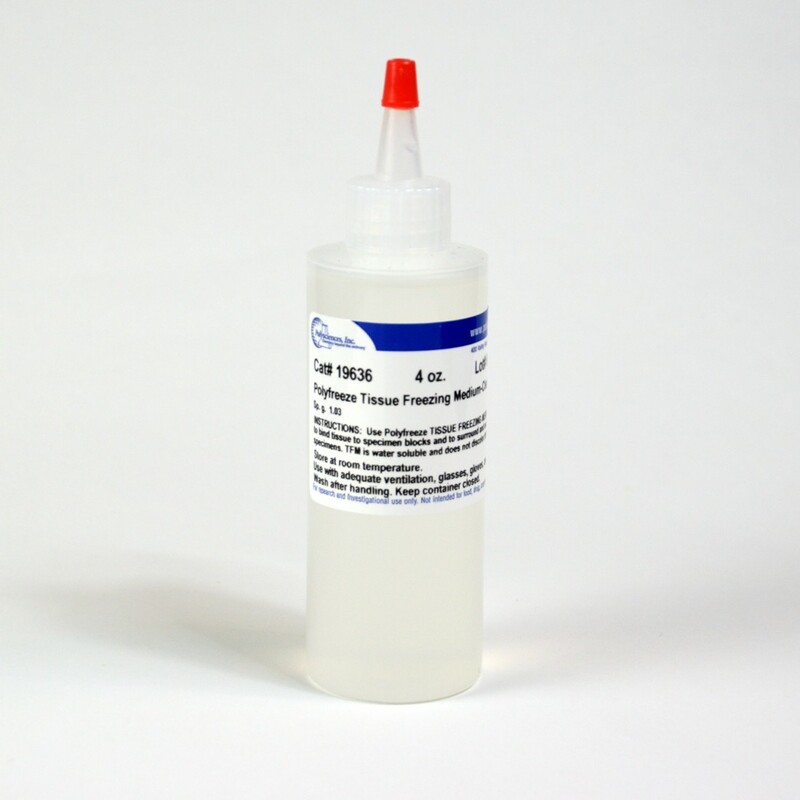 Each case contains 6x120ml of our Polyfreeze cryostat embedding medium.